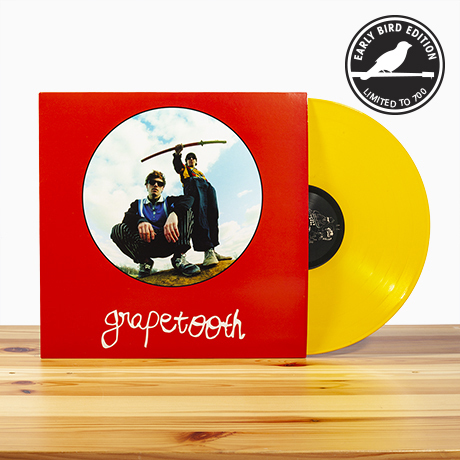 Grapetooth dropped this super fun release, late into 2018. It's an incredible listen, that plays like the history of Brit-Pop, with some 80's synth-pop mixed in. Every time I hear the first verse of "Imagine On,"
I'm reminded of the Happy Mondays and their big hit, "Step On." Then you get to the chorus and you hear New Order or Howard Jones. "Imagine on, imagine on, Imagine on, my love/You never smile, no style/Original, my love." The influences here are endless and worn quite prominently on their sleeves. I feel like I got this album right away. I knew the sound they were trying to portray and the direction they were headed. I like that sometimes. I also like trying to pick out what certain songs remind me of. "Violent" is like a Billy Idol meets Oasis mash-up, and "Trouble" is the care-free jam of the year. "Red Wine is super chill," and "Blood" is another one of those 80's bangers! BTW, this LP was sequenced so well, flowing smoothly from start to finish. That's part of the addiction.